The Yealink T4 is a series of business IP phones that you can use with your Telzio phone system. There are currently 11 different models in the T4 series, offering up to 16 lines and simple web configuration. 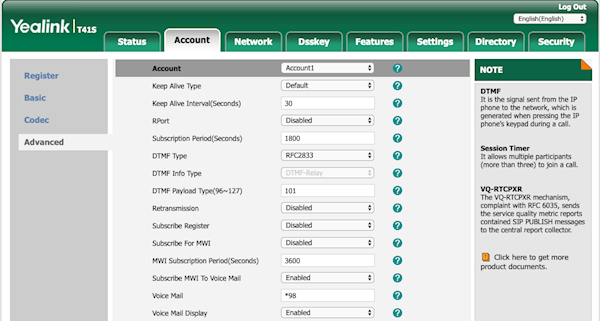 In this article, you’ll learn how to configure phones in the Yealink T4 series to use with Telzio. This guide pertains to all phones in the Yealink T4 series, including the SIP-T40P, SIP-T41P, SIP-T42G, SIP-T46G, SIP-T48G, SIP-T40G, SIP-T41S, SIP-T42S, SIP-T46S, SIP-48S, and SIP VP-T49G. BLF keys allow you to utilize the line keys on your phone for quickly dialing other users in your company, see who is available or on a call and even pick up calls for your co-workers.